2017 was a good one for us! I'd say we had a pretty favorable blessings to trials ratio. A quick summary: We lived in Virginia for the majority of it finishing up our junior year. Tayler turned 25, I turned 22. In the summer we lived in San Antonio for the second year in a row. 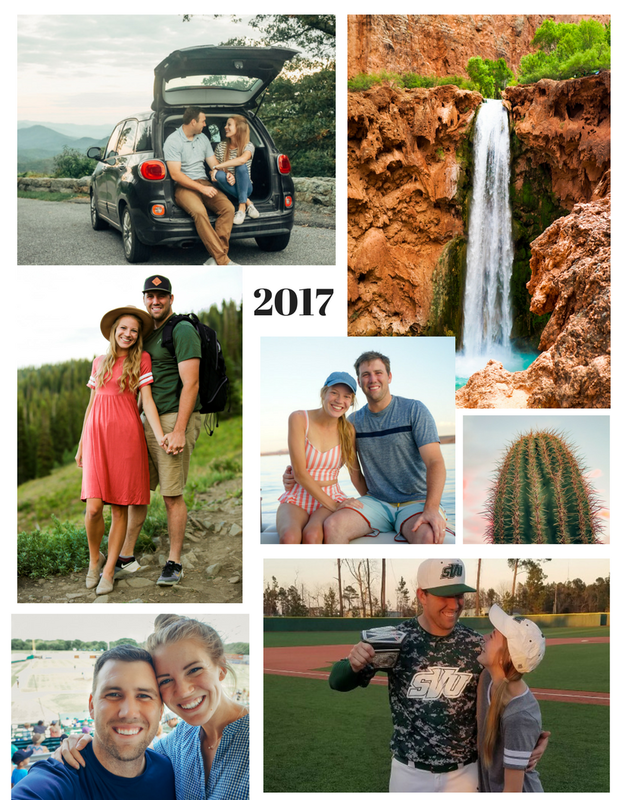 As for vacations, we started the year off with an EcoShield cruise to the Caribbean, we hiked Angels Landing in Zions National Park in May, we hiked to Havasupai in the Grand Canyon with my dad and little sis in July, and we went to Lake Powell with Tayler's older brother in August. Nothing too exotic but a lot of little good ones. Accomplishments: Tayler pitched a no hitter in February and I opened up a clothing boutique with my cousin in April. 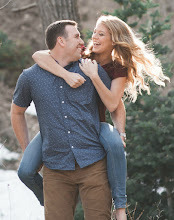 We celebrated our second anniversary in April with a trip to Vegas. Tayler broke his hand in March and wore a cast for half a day before panicking and demanding the school trainer cut it off;) I didn't get shingles once which hasn't happened since 2009. So ya a good year! As for my 2017 Resolutions, I failed miserably. I just went back to look at them and could not honestly cross off a single one! I halfway did a few but yikes, thats what I get for being unrealistic;) This year I've made up a few, but they are smaller and do not require an every day commitment. Things I'm Looking Forward to..
2018, I'm coming at you. 15 days late but now I'm ready for you. Do you guys enjoy reading? I'm thinking I might post a monthly review of the books I read, because I always love getting reading recommendations.